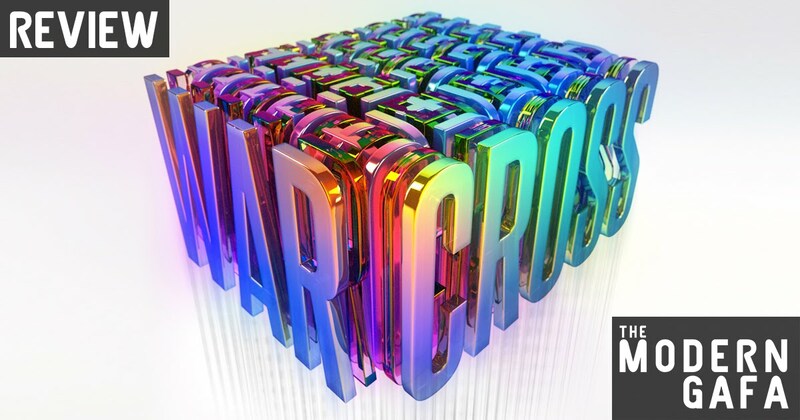 Ever since I started getting into the book side of geek blogging, I’ve known about Warcross by Marie Lu. I had just finished Ready Player One and Warcross sounded so similar, I was ready for another adventure into a virtual reality game world. After leaving New York Comic Con, where I discovered a bunch of new books, Warcross was still at the top of my list of books I wanted to read as soon as possible. Once I got my hands on a copy, I couldn’t put it down. After the jump, check out my full review of Marie Lu’s Warcross and stick around to find out how to win your own copy! Disclaimer: I was sent a copy of Warcross courtesy of Penguin Random House. Opinions are my own. The main selling point of this book is Warcross itself. The game-within-the-book isn’t exactly like the Oasis of Ready Player One or The World of .hack, it’s actually a bit more like Super Smash Bros. It’s a five-on-five ball sport with power-ups set in different battle arenas watched by millions like today’s e-sports. There are other games, including Mario Kart, that are playable on VR glasses that power Warcross, but the titular game is still the main focus. I found all the real world stuff way more interesting than the virtual reality stuff. The Warcross game itself doesn’t sound exciting, I wouldn’t want to play it but that’s just me. Interestingly, Warcross segments are few and far between as the book spends its time elsewhere. The real world stuff is a lot more intriguing as we see Emika bonding with her team and the game's creator. After Emika hacks her way into the opening ceremony of the Warcross Championships. As a result, she is pushed into the draft to conduct her investigation and winds up the number one draft pick. The catch is that she cannot let her teammates know her true intentions. One of them could be a spy working for the evil hacker. This causes tension as Emika blows off practices and bonding time to gather clues. Of course, the games aren’t as important as her mission, but she needs to stay in the Championships in other to continue investigating. In addition to the book being heavy with Asian representation, the captain of Emika’s team is also in a paralyzed and wheelchair bound. This disability is almost never brought up after the character is introduced - physical abilities are irrelevant on the digital battlefield. Warcross was not the follow up to Ready Player One that I wanted, but it was still an exciting cyberpunk adventure. The diverse cast gives every reader someone to identify with. The mystery is far from obvious and ends with a surprising twist that will leave you waiting for the next installment. Warcross has action, romance, mystery, and more. You can click here to order your own copy of Warcross, or enter the giveaway below! My favorite video game would probably have to be the Pokemon series. I remember getting Pokemon red for my 3rd christmas and never going back. Even as I type, I have Pokemon Ultra Moon playing on my 2ds. I'm going to go with Super Mario Odyssey, because I am a nerd. The game I keep coming back to is Don't Starve. I've always been a fan of world building/ resource management games, and the gameplay of Don't Starve is fairly standard. What draws me in is the art and music style and the darkly cute aesthetic. Want to have a terrifying eyeless/one-eyed hollow dog creature as your best friend? How about be bludgeoned to death by walruses while trying to steal their bagpipes to the soundtrack of emotive oboes? Make a doppelganger from meat and beard hair? It's like a Victorian opium dream of a game and that's exactly my jam. This is a tough one. I think World of Warcraft is the game I have played the most over the past few decades, but it's hard to argue that any game effected my life more than the Street Fighter series. But I also love any game with interesting characters and in the past few years I have played A LOT of Overwatch. . . so one of those probably. Super Mario world is one I can always return to. It's a great game to beat in a single weekend, but it has enough content to still have a certain freshness to it each play through. The graphics are so fun and colorful that sometimes it's worth it to go through each level and explore every nook and cranny.